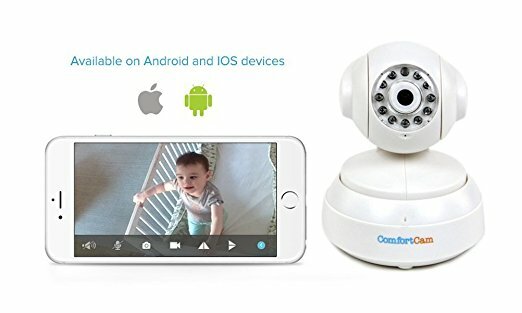 If you are keen on monitoring your baby while it is asleep at night then this is the best baby monitor for you. It is fitted with some infrared lights that are going to ensure that you can get a clear view of the baby despite the darkness. 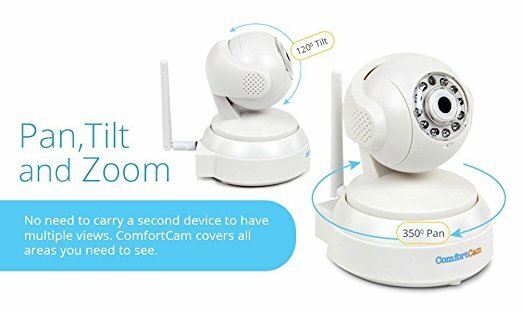 You will also love that it comes with a system that allows you to get timely notifications of the sounds and movements that are happening in the room so that you are able to know when the baby is awake. The other beautiful thing about it is that it allows two-way communications so you will be able to communicate with the baby in different circumstances. Although the only thing it will not be able to do is to keep you up to date on the temperature of the baby’s room. You can access it through any mobile device that is internet enabled using Wi-Fi. 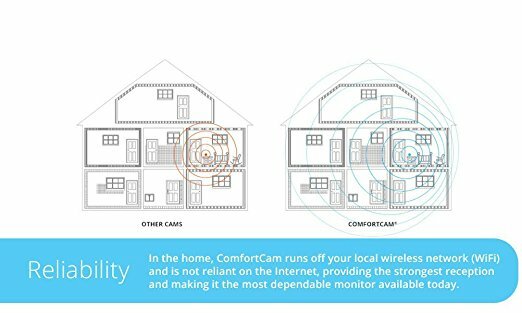 Its camera is high definition and so will provide you with a wide field of view of the room and it is also capable of a 120-degrees tilt to give you a proper survey of any room. You can view up to four panels on your monitor thanks to its 4-panel split screen capacity which can enable you to view the baby from different angles if you have connected other cameras. It allows you to communicate with your child from a different room and so you can give it instructions or just soothe it from a distance. 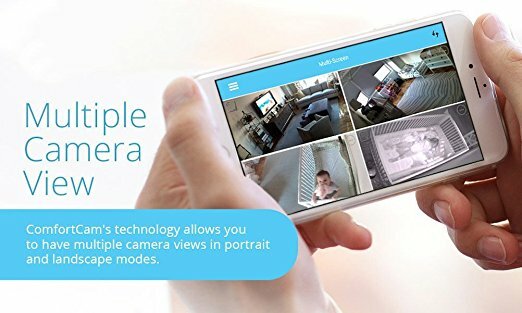 It sends you alerts in case your child moves or makes a sound which is very important while monitoring your child if they are in their crib. 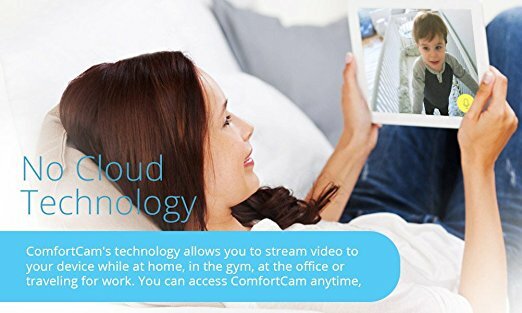 You will love that its app comes with a sound bar that alerts you to the degree of sound your baby is making. Any audio is captured accurately thanks to its highly sensitive camera. 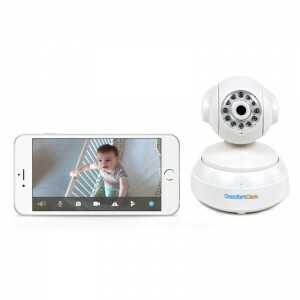 You can use it to monitor your baby at night effortlessly thanks to its infrared lights. It does not monitor temperature.